Equipment Identification number and Equipment Name, Categories, serial and other details are also can be show which can used as reference. Equipment Description – Full details about equipment for understanding of equipment works, equipment parts & other concern information which is helpful for maintain. Location & Unit of equipment where installed. 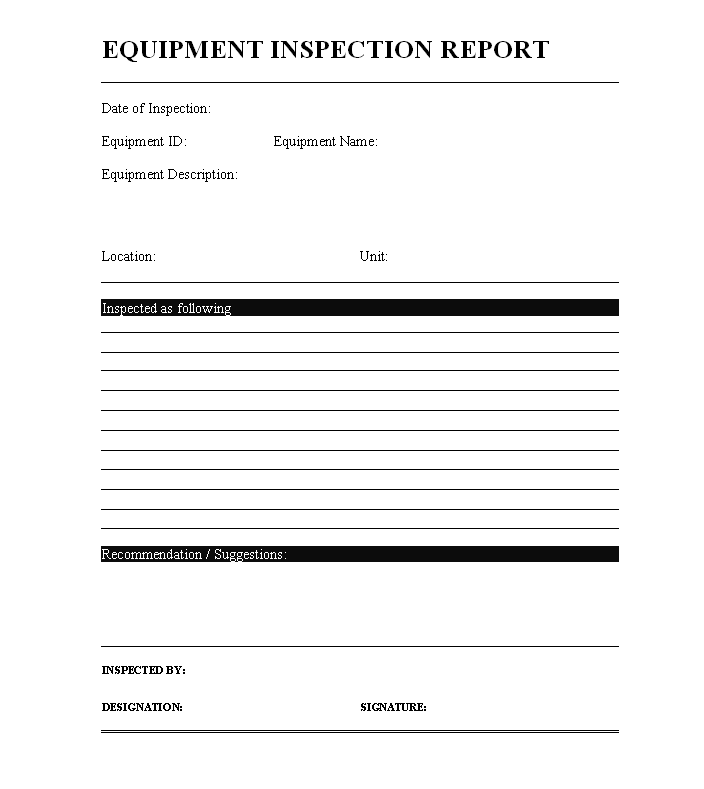 Inspected as following – Details of inspection point where noted during the inspection of equipment by inspector, all the details with reference numbers, parts numbers, code should need to mention for possible to follow up inspected, defected parts where found during inspection.